Our experienced shipping agents will give you advice on any complex matter connected with shipping and transportation. A qualified team of employees is at your disposal, ready to provide services of the highest standard. Within the services provided, our competent staff will take care of selecting the most effective logistic solutions and the most convenient option of shipping the goods, so that your consignment safely reaches its destination. The staff will also help in preparing essential documents, take care of any formal issue and plan the optimal route. We reach every place you need to be. Our modern transportation means providing high-quality and unproblematic transport. 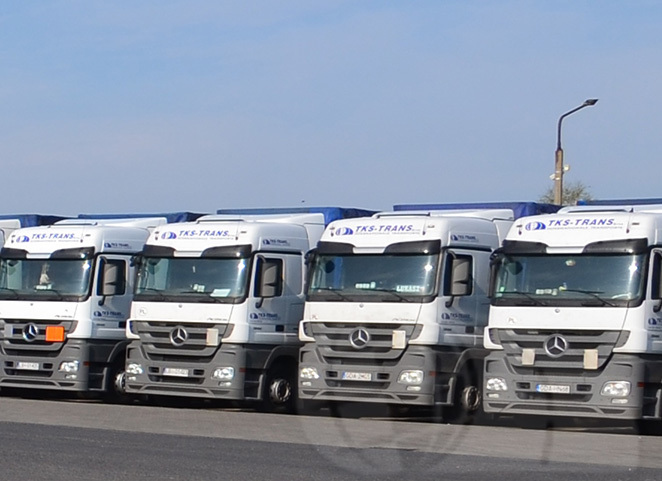 Our fleet consists of the most advanced and reliable cars, which have EURO 3 and EURO 6 certificates. 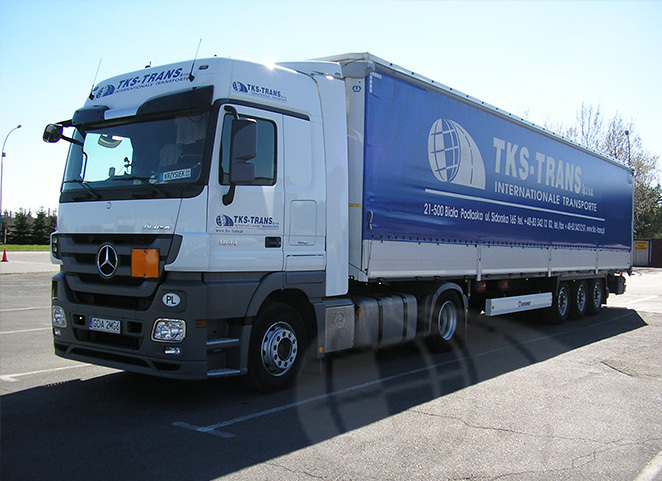 The company provides you with a wide range of semitrailers adjusted to all types of vehicles. The professional fulfillment of transportation orders is possible because of the constant accessibility of the fleet, quick response to the order and the high flexibility of the company. Our transportation package contains national full truck load services. 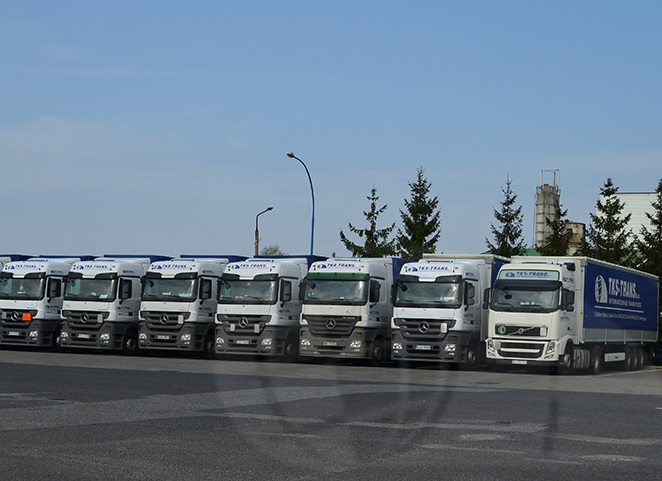 Our company offers you a modern and high-quality fleet adjusted to shipping a variety of products, as well as timely collection and delivery. 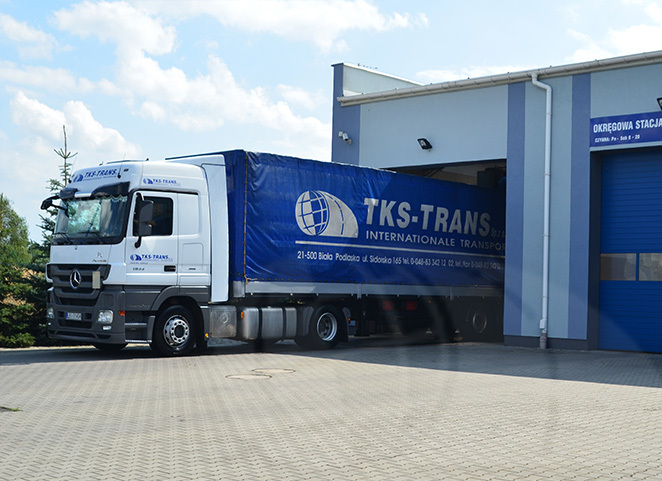 Security of the shipment during transport is assured by the best and the most experienced drivers. National transport includes the whole territory of Poland. We invite you to use our services. Transportation licenses which we own:ADR 2, 3, 4, 5, 6, 7, 9 Our drivers are licensed for transporting hazardous articles ADR confirmed by appropriate certificates of training for transporting hazardous articles. During transportation of hazardous articles, TKS-TRANS company vehicles are marked with orange fluorescent notice board.